A big thank you to Diana, Kevin and Carl for donating your gifts to our Toast & Taste Event! 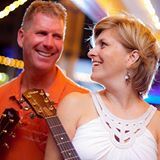 Making music since 2008, Dianna Parks, Kevin Kleist, Carl Stephenson have an easy listening, acoustic style genre, with influences from Jackson Browne, Linda Ronstadt, Martina McBride, Tim McGraw, Jason Mraz, Colbie Callait, Jack Johnson, Colin Raye. The trio consists of vocal harmonies, guitars, mandolin, and harmonica covering easy listening song over 4 decades. ​Mike King and Remi Moulder are two local guitarist that started playing together because their mutual love for jazz music. They have performed with many groups in the Rochester area, playing blues, rock, country, and jazz. As a duo, they are known for playing hot and smooth jazz, with Latin mixed in, ranging from the 1920's to contemporary. Thank you to Remi and Mike for donating your talent to our Toast & Taste Event! Looking forward to listening to your smooth jazzy guitar duo! . Located in Goodview, MN and owned by two local gentlemen/Stewartville residents, Steve Barber and Dave Weinhold. We are very excited this year as they are offering a new beer for tasting – Honey Cream Ale! Thank you to Rachel & Aaron Hasley of Divanyx for generously donating their Photo Booth and expertise in photography to the Toast & Taste event! 2017 Toast & Taste Pictures! ​2016 Toast & Taste Pictures! The Stewartville Area Community Foundation (SACF) would like to invite you to become a sponsor for the 2nd Annual 2017 “SEMN Toast & Taste” Event. This is an opportunity to join SACF in its mission to build a greater community by supporting a premier entertainment center for Southeast Minnesota. Thank You for considering a sponsorship. Your support is greatly appreciated.